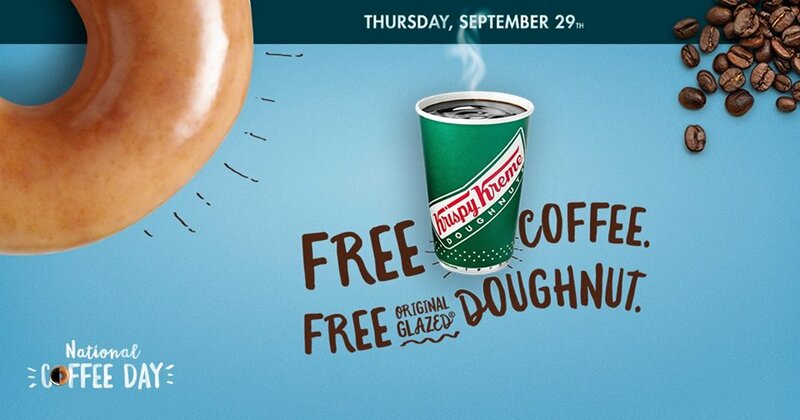 Any guest who visits a participating shop on National Coffee Day will receive a free small coffee and a free Original Glazed® doughnut. The offer will be valid at participating shops from the beginning of regular business hours until close of business on September 29 only. This National Coffee Day, we’re raising a cup to you, in celebration of our 66-year history! On Thursday, September 29, guests can enjoy any Medium-sized cup of our signature Hot Coffee for the special price of 66 cents. At participating Dunkin’ Donuts nationwide.